When I began my year as a Global Health Corps (GHC) fellow working at the Ministry of Health in Uganda last July, I held a negative attitude towards advocacy for several reasons. First, I believed that advocacy was just about politics, and I have a strong dislike for political debates. Second, I thought advocacy only took the form of rallying and demonstrating dissatisfaction with the current state of events. Finally, I believed advocacy is only for those people who like to talk a lot. 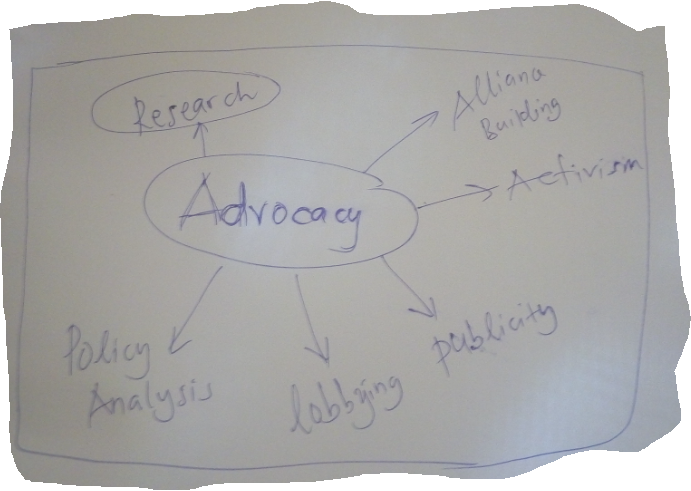 As defined by renowned author and advocate Ritu Sharma, advocacy is actually a “tool for putting a problem on the agenda, providing a solution to that problem, and building support for acting on both the problem and the solution.” I realized that advocacy requires multiple efforts, including coordination, strategic thinking, information gathering, communication, and mobilization. This means that when change is needed, my efforts are important for enacting this change. I then started to think of ways to engage myself in advocacy — predominantly through research on noncommunicable diseases (NCDs), a topic I am very passionate about. In Uganda, 40% of all total deaths are attributable to NCDs. Worryingly, over 80% of these deaths occur prematurely, in persons under 70 years old. Although there is hope that NCDs are preventable through tackling the four major modifiable risk factors, there is still need for more advocacy and awareness creation in our communities on this issue. Notably, the four major risk factors, including excessive alcohol consumption, tobacco use, unhealthy diets, and physical inactivity, are all highly prevalent in the Ugandan population. On the other hand, treatment of NCDs is very expensive, which contributes to some patients missing out on their medication and becoming non-adherent. A friend recently shared a report with me of findings on the individual lived experiences of patients living with NCDs when accessing medicines in Uganda. The report described several challenges these people face, such as drug stock outs and inadequate human resources at the health facilities that consequently results into long waiting times. These challenges sometimes discourage patients from coming back for medication refills and encourage them to resort to herbal concoctions. This all depicts just how immense the issue of NCDs is! In my first couple of weeks at the Ministry of Health, my first task was to review and update the National Multi-Sectoral Strategic Plan for the Prevention and Control of NCDs, an advocacy document highlighting priority actions on NCD prevention and control for the country. Although I had never worked in a policy environment, I was excited about the task and an opportunity to learn given that I love working on NCDs. In reviewing the document, I realized that the Monitoring and Evaluation (M&E) framework was one of the missing sections. Drafting the M&E framework proved to be challenging given the lack of data on some indicators, thus, I scheduled a multi-stakeholder consultative meeting. First, we needed baseline data to set five-year targets. Second, most of the few studies done around NCDs were localised and not really robust enough for their findings to be generalised to the country level. However, we had to use the available data and move on to the next step. 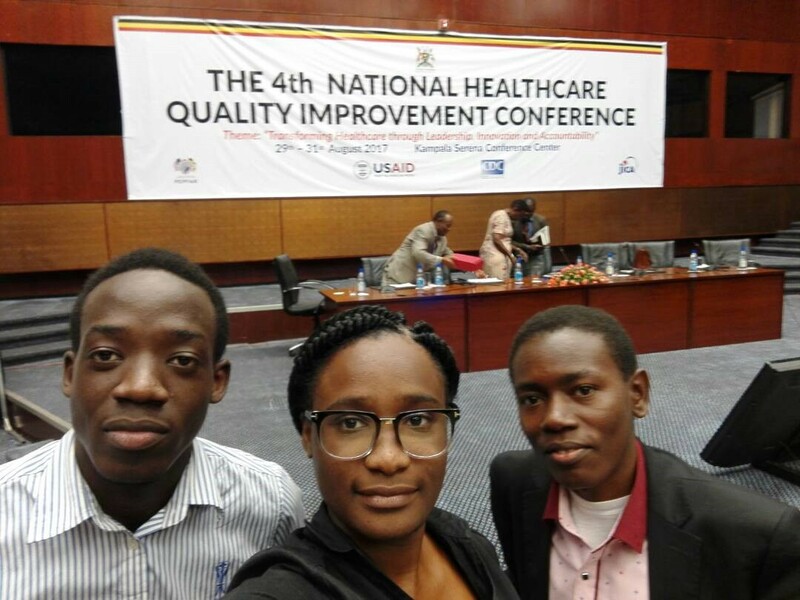 This experience keeps ringing in my mind, given that I envision myself using my research skills to change the face of healthcare in Uganda, especially for those living with NCDs. I feel driven to contribute to getting such data by engaging myself in doing more research. In Uganda, our challenge of limited data on NCDs hampers our efforts to push for support of interventions in this area. Because NCDs are an emerging public health problem in Sub-Saharan Africa, we have yet not done enough to dig deep and collect some of the very important statistics we need. Besides the national NCD risk factor survey conducted in 2014, which assessed the burden of NCDs and their risk factors, data on other relevant parameters of NCDs remains scanty. Indeed, research is one of the functions that can be used to provide information and evidence to improve the prevention, management, and treatment of NCDs. Advocates need to provide a lot of evidence to influence policy decisions. In my experience, policymakers need to know: Who is affected? How many are affected? How does this concern me? Research is required to answer all of these questions accurately. Having comprehensive, accurate, compelling data available is key in advocating for change. It’s critical that we invest in research so we can obtain the evidence needed to lobby for improvements to healthcare services, especially for the most impacted populations. Nicholas Matovu is a 2017–2018 Global Health Corps fellow at the Ministry of Health — Uganda. All GHC fellows, partners, and supporters are united in a common belief: health is a human right. Want to get involved? Check out these great opportunities to support the health equity movement and consider joining us as a fellow or partner when applications open later this year! And don’t forget to connect with us on Twitter / Instagram / Facebook.